Is there Any Reason to Use a VPN at Home? - Ask Leo! If you are secured behind your own router in your own home, a VPN service is probably not necessary ... though there are a few scenarios where you may want to consider it. Hi, Leo. I’m wondering if a VPN service might be useful at home on my personal Wi-Fi? I use a desktop and my Android smartphone there. I know it’s useful elsewhere. A VPN or a Virtual Private Network is typically offered by a service that then encrypts all of your internet activity between your computer and their service. Normally, a VPN isn’t particularly useful at home, but there are a few scenarios where it might make sense. First, a quick review of what a VPN offers you. Let’s say you visit askleo.com (as, I of course, I hope you do – often  ). That connection is not encrypted. (See footnote below1.) What that means is that the pages you request of Ask Leo! and the pages themselves as they’re downloaded and displayed on your computer are actually visible to anyone who can intercept your internet connection. The most common scenario is an open Wi-Fi hotspot for example, where someone sitting in a corner with a laptop can listen in on unencrypted conversations. On the other hand, many sites you visit are encrypted. Anything with https, for example, is encrypted. Interceptors can’t see the contents of the conversation, but they can see that you’re having a conversation, with say, your bank or your email service. A VPN gets in the middle. You connect to the VPN service first; and this connection is encrypted so no one can see what transpires across it and all your internet activity is routed through this connection. When you then visit an unencrypted site, like askleo.com, your computer connects to it through the VPN service’s connection to it’s server. So no one in the coffee shop’s open Wi-Fi, for example, can see what you’re up to. The VPN service’s server connects, unencrypted once again, making that last leg to the site you’re visiting. Not only can that person in the corner of the coffee shop not see what pages you’re viewing, they can’t even see what sites you’re visiting at all. And that goes for https sites, as well as email and other connections, in addition to plain old http. The connection might be a little bit slower since it’s having to go through this additional server, but it’s completely encrypted as it makes that last leap to and from your computer. Now, we know that a VPN is potentially valuable in situations like open Wi-Fi hotspots at that coffee shop I’ve been talking about. It’s one very effective way to protect yourself from that creepy guy in the corner with his laptop. But what about at home? Well, a VPN could be useful at home if your internet is provided by someone you don’t completely trust. For example, when your roommate, landlord or neighbor is the individual providing you an internet connection, a VPN can go a long way to insuring your privacy. And that’s true whether the connection is wired or wireless. Remember, whoever it is that provides your internet actually has the ability to see what data is transferred between your computer and the internet. Your ISP can see anything it might care to and in these cases, your roommate, landlord, neighbor or whoever else – is your ISP for all practical purposes. They’re providing your internet and with sufficient knowledge on their part, they could snoop in on the unencrypted contents of your connection. The other scenario that comes to mind is one of location, or rather attempting to get around location-specific restrictions. For example, you’re in country A and you want to access a site in country B, but for whatever reason, you can’t. Most commonly this comes up when videos are blocked based on where you live. One solution that sometimes works is to use a VPN service that resides in country B, or some other country that doesn’t have that same restriction. To the web site or video, it looks like you’re coming from the VPN’s country – not your own. Sometimes, that works. Once again, depending on what you’re doing, performance can be an issue, particularly with video. Those are the two items I can think of. As long as your router is secured and your Wi-Fi is using something like a WPA or WPA2 password, then by and large, you probably don’t need a VPN at home. Most VPN services are tailored for the traveler who is regularly using open and untrustworthy hotspots and other internet connections on the road. 1: At the time this article was written, askleo.com was not encrypted. Since that time, I’ve switched to using https for all connections, so that statement is no longer true. The comments apply, instead, to any site you visit that does not use https. « Previous post: Should I backup to an SD Card? Gordon – never mind BitTorrent, anything that will frustrate the snooping government’s intent to spy on any and all its residents, has to be a good thing. By snooping government, I mean your government, my government and again, any and all governments, who, by their actions to date are actively encouraging the “Rule of anarchy”; a lovely oxymoron that may turn out not to be so oxymoronic! Not that I agree with what your government (and likely mine, too) is doing, but whatever I do on my computer, I’m just not that important. If they start snooping on me, they’re going to get bored awfully quick. You say that, but consider for a moment that they aren’t looking at you for security reasons. One may thing “I’m not a bad guy, so they’ll just pass over me,” but that’s missing the real terrifying implications of government spying. Employees of the NSA have openly admitted to looking at pictures, reading emails, and other extremely private materials they find on open networks (which is every network you use if you’re not using something like a VPN). They do this because they can! If you truly, truly have nothing to hide from any prying eyes that may want to sneak a peek simply because they have the ability to, then I assume you live in a glass house with no doors or curtains. Keep that in mind next time you Google the symptoms of a private medical issue, or send a message to your SO that you don’t want anyone else to read. They can, and they will, if they aren’t already. I used Saturnvpn its best vpn service provider , they have online support and they are very helpful . The price is reasonable . I have recently got onto netflix here in australia and Telstra is actually “pushing” their clients to get a VPN so that their streaming will be unimpeded. Is this correct? Does a VPN actually help? there is a VDO that telstra provides that shows that using a VPN actually does speed things up even though you have to redirect to another server. I don’t see how it would speed up streaming, in fact, I’m sure it will slow down streaming because it all has to go through the VPN’s computer. It will, however, make it possible to stream some content which is blocked by the originators from playing in your country. VPNs can make it appear as if you are in another country so as to circumvent country restrictions. It’s rare that a VPN would speed things up, though. If i was using schools vpn and someone hacks school internet can they see my browsing history? I am not using it anymore though but is there a way for them to see my browsing history at the time when i was using it? A VPN would block anyone except the owner of the VPN from seeing your traffic. Since the school is your VPN, they can see your traffic. Thank You for putting the VPN information out for us, not so technologically inclined.You made it easier to comprehend and understand the pros/cons plus, the in’s and out’s too.Thank You, I Appreciate that. I am a Mac user and use Norton Wi-Fi Privacy which includes a VPN. I find if I’m online at home the VPN slows down loading pages. Switching it off cures the problem. Available for either Windows or Mac. One important point to note here is that when using a VPN, although this prevents the people who are providing your internet connection from being able to see your connections and unencrypted traffic, you are instead trusting the company who provide the VPN connection with your privacy, since your traffic will traverse their network instead and so be visible to them. Some articles like this one say there’s no encryption between the VPN and the destination and others say there is. If there was not, then it would be open to Man In The Middle (MITM) attacks whereby your data could be read. The attacker couldn’t figure out where your data originated because it would look like it came from the VPN, but if your data contained personal information that linked it to you then the VPN would not do you any good. I think the connection between the VPN and destination is encrypted…or at least should be…and it’s done with public and private keys. The VPN and destination have their own set of keys. The VPN knows the destination’s public key since it’s public and uses it to encrypt, but that key cannot decrypt. Only the private key of the destination can decrypt the data, and its private key is mathematically related to its public key. In 2017 a mac app developer was hacked and Proton malware was inserted into its apps. With it an attacker can gather passwords and VPN keys, install keyloggers, get into your iCloud, etc. Most virus apps can detect it, but just goes to show nothing is 100% safe on the internet. 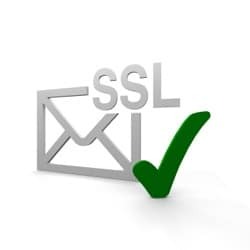 The only encryption between the VPN and the destination occurs if you are accessing a website over a secure socket layer (SSL), that would be an https: website. If the VPN accesses a non https: website, the communication would be unencrypted plain text. If it were possible for the VPN to communicate with a non-https: site via encryption, you’d also be able to do it which would make using a VPN unnecessary. And if the VPN went rogue, they could be that man in the middle as they decrypt everything you send to non-https: websites. They also decrypt your https: communications but the results of that is the originally encrypted https: data. That’s why the Electronic Frontier Foundation is pushing for all websites to switch to https:. As you can see by looking at the address bar of your browser, Ask Leo! is an https: encrypted website. sites that are blacked out? E.g., local football games when they don’t sell enough tickets. If so how does one access the site? Per normally? Yes. I live in Germany and use a VPN to get US based Netflix. Unfortunately, when companies like Netflix, Amazon, Hulu etc. get a lot of traffic from a VPN, they often recognize that as traffic from a VPN and block that VPN’s IP address. Hey, Mark! You are right. I have been using PIA, but Netflix US was unavailable, because of blocking VPNs IP addresses. Now I use NordVPN and it works well, so I recommend checking it. Thanks. I’m actually looking for one that works. I still don’t understand do i needa VPN or not? I live with my ex & use his wifi planner on my ph , (internet) , so what can he see that I look up ? I can’t say whether or not you need it — it depends entirely on your situation. If your ex is technically astute enough with a VPN he could, for example, see what websites you visit. As for anything more (like what those websites show you) it depends on the security used BY THOSE WEBSITES and other services you use. If he has physical access to your computer, of course, he can do anything.